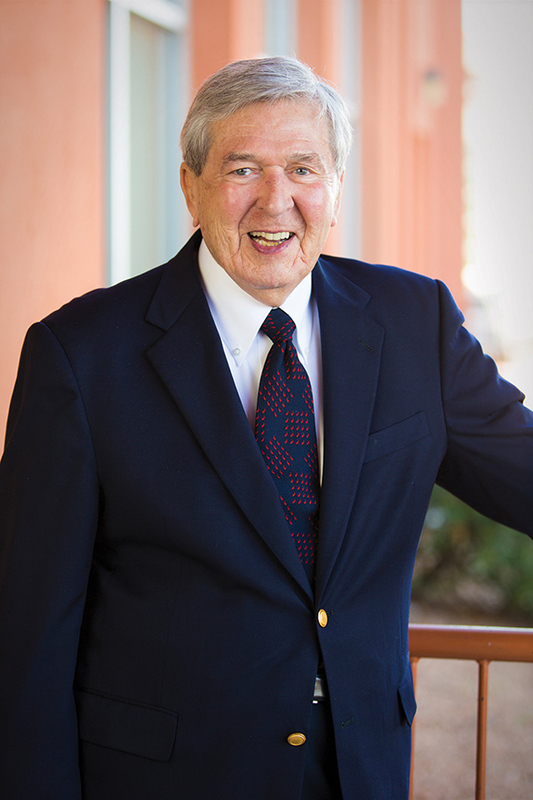 Stan Fulton, NMSU's largest, single donor, passes away, leaving behind a transformational legacy that will impact students for generations to come. Stan Fulton leaves a tremendous legacy at New Mexico State University that has benefitted countless students. For more than a decade, his investments have been transformational – from academics, to instructional facilities, to athletics – he has truly elevated the university. Fulton was very successful in the Las Vegas gaming industry. His company, Anchor Gaming, built the city’s first multi-line video slot machines and video poker machines. Fulton sold his interests in the company in 2000 and acquired Sunland Park Racetrack and Casino in Sunland Park, New Mexico, about 30 minutes south of Las Cruces. That’s when his relationship with NMSU began. Fulton was NMSU’s largest, single donor, giving more than $17 million in total. His first series of gifts helped build the Fulton Center on the south end of Aggie Memorial Stadium along with funding four academic chairs, a portion of the Domenici Hall construction and multiple improvements to Aggie Memorial Stadium. He also established an endowment to support merit-based fellowships for students in NMSU’s Graduate School. In 2014, he received the Outstanding Leader in Philanthropy Award from the Association of Fundraising Professionals New Mexico Chapter. In 2003, he was awarded an honorary doctorate from NMSU in recognition of his remarkable record of philanthropy, for the inspirational example he set as a successful entrepreneur and for his significant support of the university.